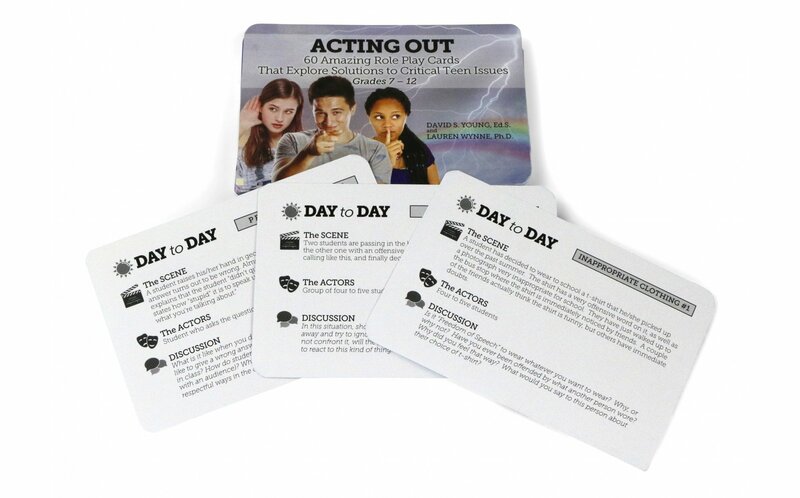 Acting Out allows students to use the scene suggestions on each card to act out various situations that sometimes come up in the day to day lives of middle and high school students. 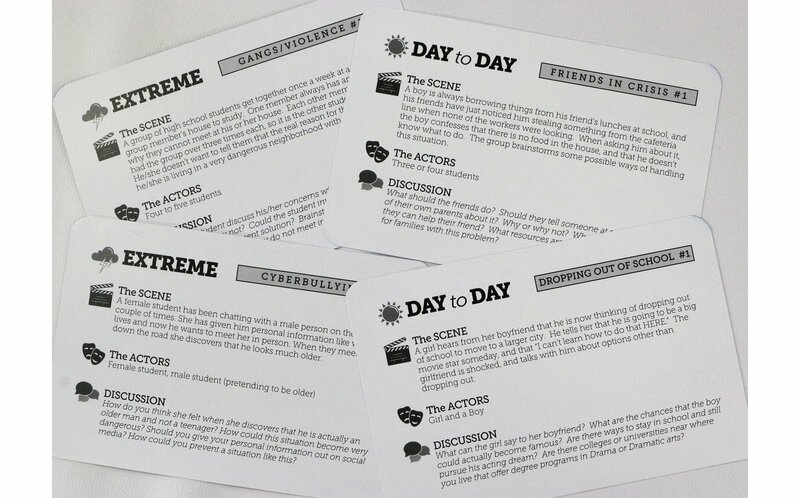 Students in a small group select or are given a card that provides them with a scene description and actor parts needed. Then the actors present their mini-play with or without any preparation. Following the play, students in the small group or classroom process the role play. Suggested discussion questions are provided for each scenario. The oversized cards are divided into two categories. 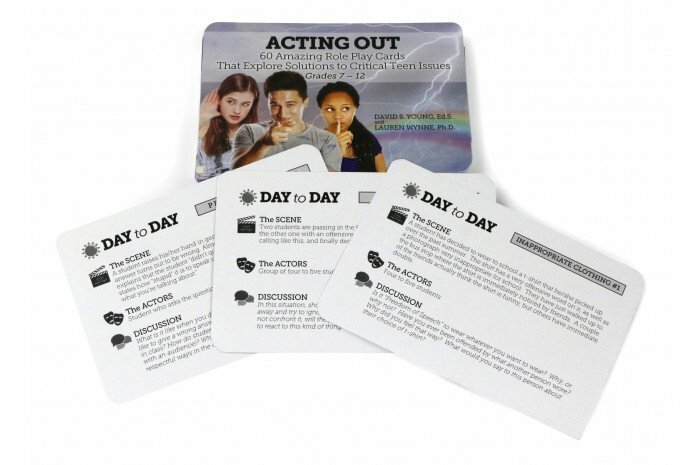 "Day to Day" cards present situations that are common occurrences in young peoples' lives today. The "Extreme" cards contain situations that involve more intense scenes dealing with emotionally edgier subject matter. Cards come from the manufacturer in a polybag. No box is included.